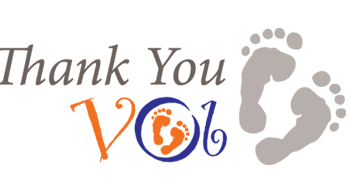 A long overdue THANK YOU for another wonderful experience with Village Obstetrics. I feel so blessed to have been in the care of such talented, wise, and compassionate doctors. You have certainly changed my life and my family’s life. Had I not discovered Village OB after my first c-section, pregnancy, labor and delivery would have been a scarier and more negative experience. If my second delivery had ended in a c-section, I don’t know that would have wanted to get pregnancy again because of my fear of a third surgery. And I never would have given myself the option to have more than three. To have that option today is incredible because it so easily could not have been the case! Your phenomenal skill and patience made that possible. And that VBAC gave me the confidence in my own body that I needed for my latest birth. So thank you again for all that you, and your families much sacrifice to make the Village Obstetrics experience possible. I hope that everyone who is dear to you knows what a phenomenal impact your work has on your patients and their families. Your practice is the standard by which all should be measured! With much respect, gratitude and affection.